As a business owner, you make decisions every single day. Some are big decisions. Some are small decisions. But every decision has an impact on your business one way or another. And there’s no decision that has a greater impact on your business than choosing which customers to serve. 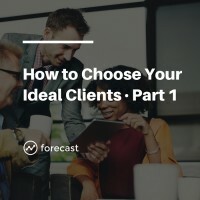 In this lesson, we’re going to look at what’s at stake when you choose your customers.